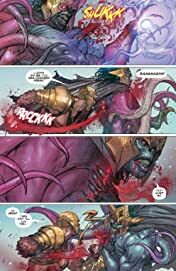 “THE KINGSLAYER” part three! 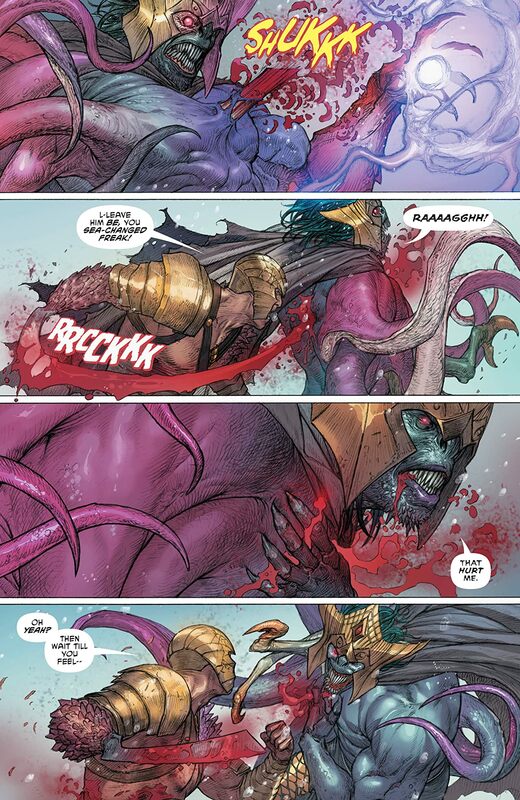 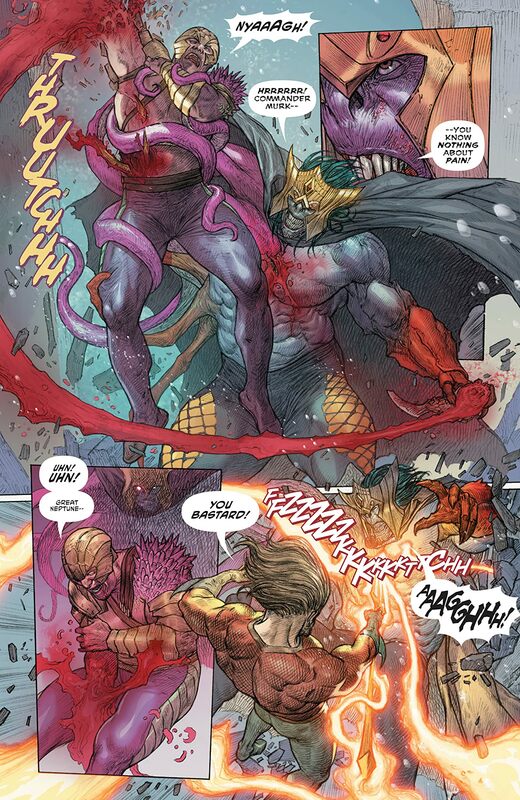 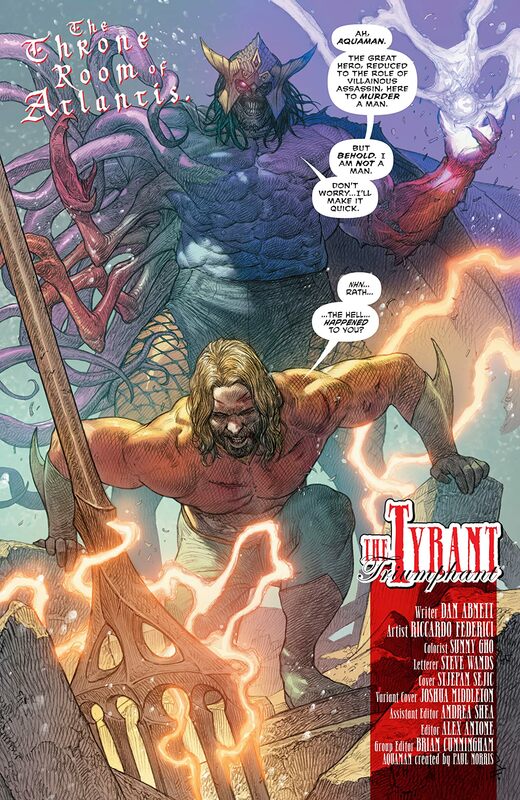 With the King of Atlantis’ resistance down for the count, a magically monstrous King Rath rampages to extinguish them once and for all! 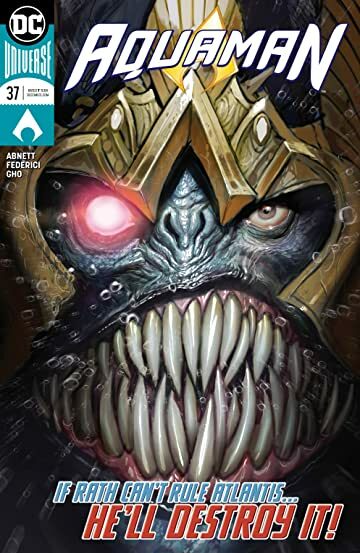 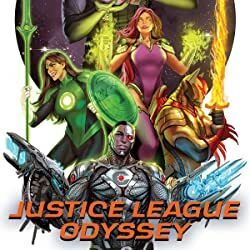 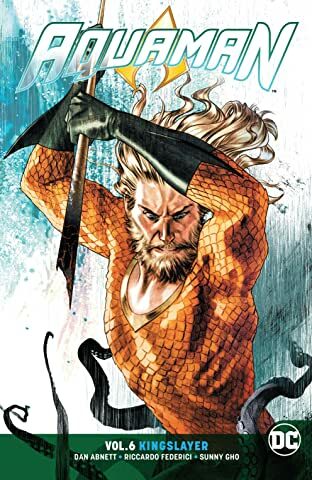 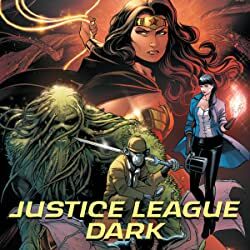 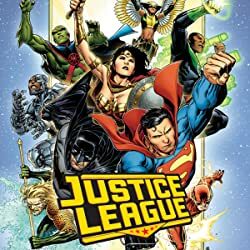 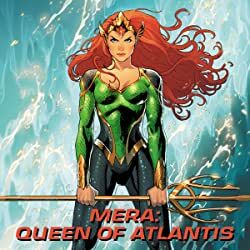 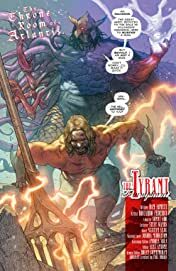 Aquaman and Dolphin must gather whoever’s left standing for one final battle, but Rath finds bigger fishmen to fry as he prepares to sink Atlantis deeper into the abyss!